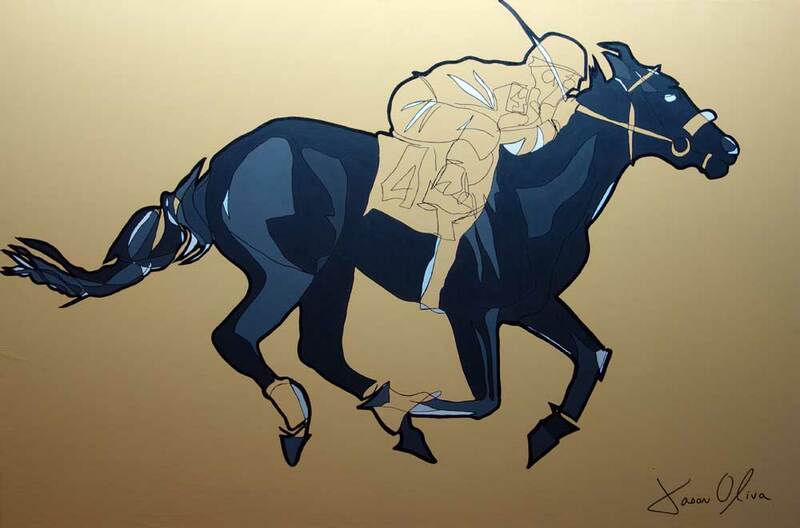 Racehorse Portraits are a time-honoured tradition in the world of art and horse racing. With the Kentucky Derby fast approaching, I thought it appropriate to write something about a portrait I painted of a racehorse, earlier this year. 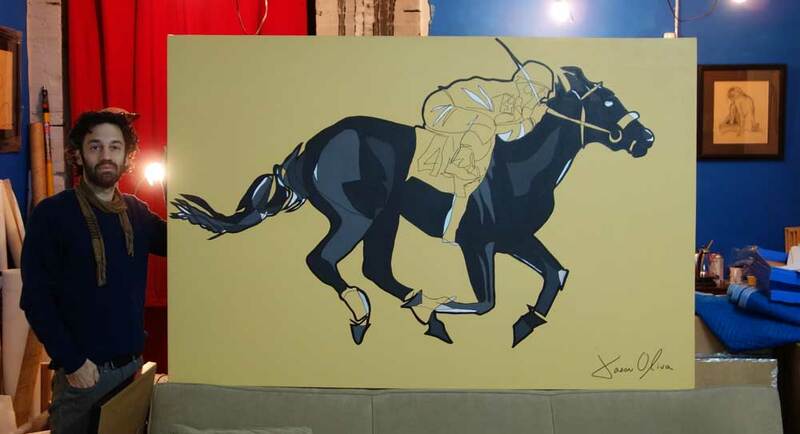 During my career I have painted quite a few portraits – some of people, some of dogs,some of myself – but I was the most excited when I received my first racehorse portrait commission. I knew exactly how I was going to paint it. First, as with all my portraits, I would have a single color field as a background to cancel out the noise of time and place. 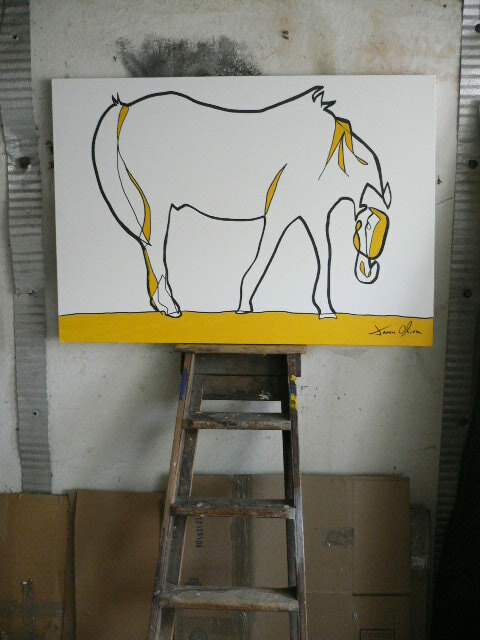 For this work I decided to use Naples Yellow, a color that reminded me of my all time favourite painting Whistlejacket. 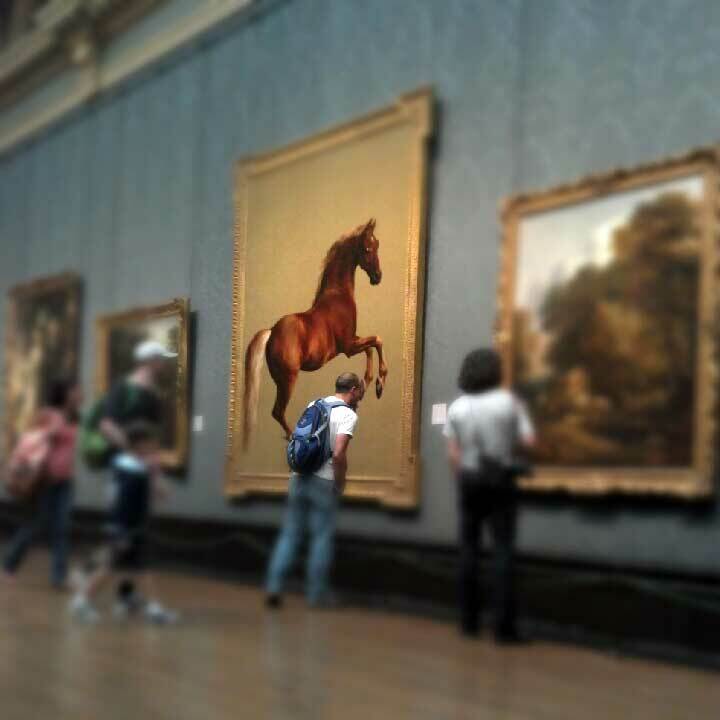 Whistlejacket resides in the National Museum in London, in an auspicious location opposite England’s treasured Turner paintings. Whistlejacket was painted by Theodore Stubbs, the artist who knew more about horse anatomy than any other person, Stubbs had been referred to as the Leonardo Da Vinci of the equine world. I can’t explain why I love the painting so much…best not to question things like that and just get on loving it. Anyway, I received the photographic source material of Promise me a Cat at the finish line and, just like the single color field, I also knew exactly how the work would look. I would paint out anything that was not the horse, anything not natural, the jockey, the saddle, the reins, everything and just let the portrait simply be about the horse. I have painted other horses such as Surrey and Three Horses and it is a favorite subject of mine to study but this was the first time that I had been commissioned to capture a specific horse’s image and character. It was a really interesting painting to work on and I was over the moon with the end result. Next Dragonfly Pendant. Sterling Silver Fine Jewelry by Jason Oliva.